Muotathal is synonymous with nature, pristine authenticity and tradition. 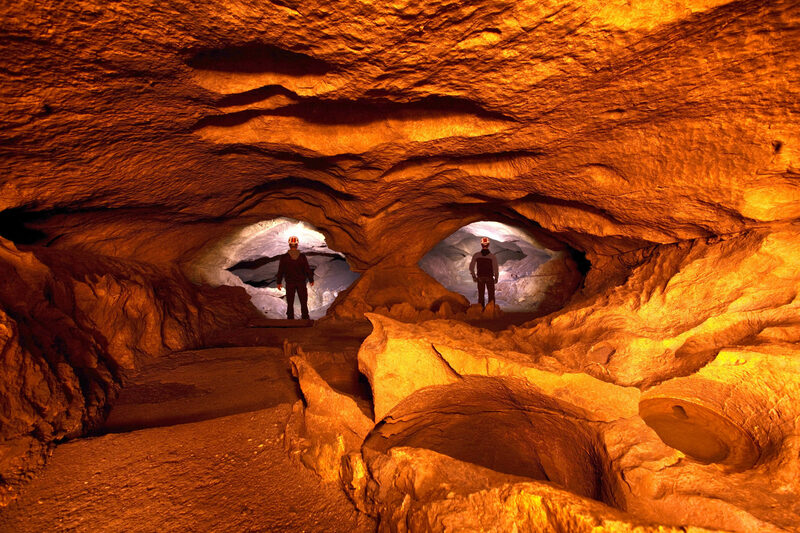 The region is home to unique natural treasures such as the Hölloch cave system, the virgin spruce forest and the karst/limestone area Silberen. Geographically Muotathal belongs to the ten largest municipalities of Switzerland in terms of area. Most of the 3,543 residents live in the village. 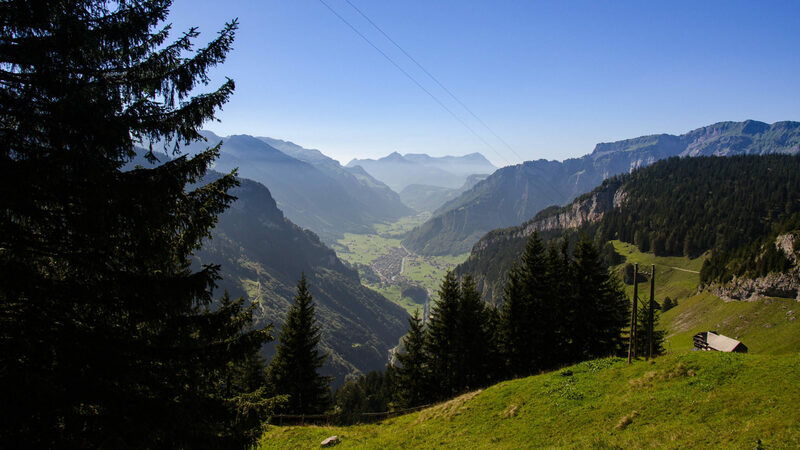 There are quiet unpopulated landscapes extending around the village with hiking trails and bike routes – amidst Alpine fields, forests, waterfalls, karst/limestone areas and mountains. The wild waters of the Muota are also a dominant feature of the landscape. The Glattalp is also a jewel. The coldest place in Switzerland has made a name for itself in winter. In summer the beautiful Alp with the lake is also suitable for family hikes. 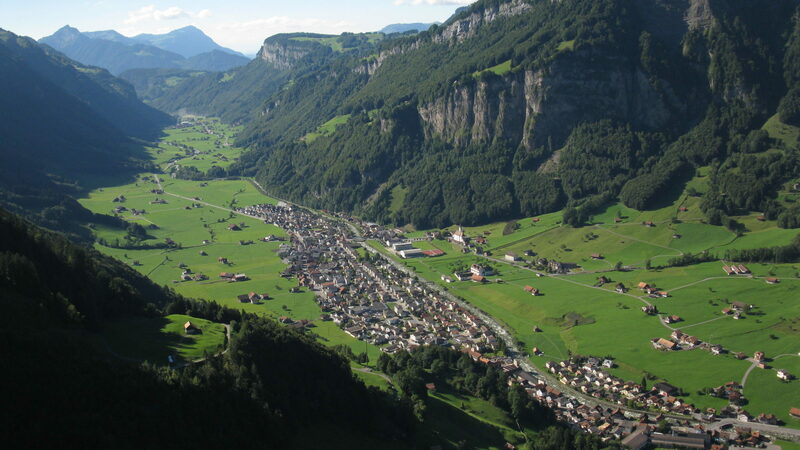 While the town and municipality is written with an ”h“ (Muotathal), the valley does not contain the ”h“ (Muotatal). Wild nature untouched by human hand lies hidden in Muotatal. It can be discovered on hiking trails or during a ride drawn by sled dogs. The popular theatre Muotathal plays from October to December, with the places always fully booked. The “Muotitaler Alpchäsmärcht” (Muotitaler Alpine cheese market) has become a major attraction over the years. On one weekend in October the Muotathal Alpine farmers come and sell what they produced in summer up in the Alps. The Muotathal locals have retained their down-to-earth culture and rugged dialect. Some say this is due to the remote location, while others find it comes from the strong self-will of the Muotathal people. You can discover their natural wittiness on the fun hiking trail – or at the half-yearly public gatherings of the Muotathal weather tellers. The gnarled men present their prognoses for the next half year with humour, based on observations of nature. 195 Kilometer des Höllochs sind erforscht. Doch wie gross es wirklich ist, weiss niemand, denn bisher hat noch niemand das Ende gefunden. Touren in den naturbelassenen Gängen werden von ausgebildeten Führern geleitet. Eine unterirdische Welt mit Schluchten, Seen, Versteinerungen und zauberhaften Felsgebilden. The Muotathal adventure world organises guided hiking and trekking tours through the wild romantic Muotathal landscape. For example, in summer to the white glittery karst/limestone fields of the Silberen, in winter to the columnar spruces of the forests. 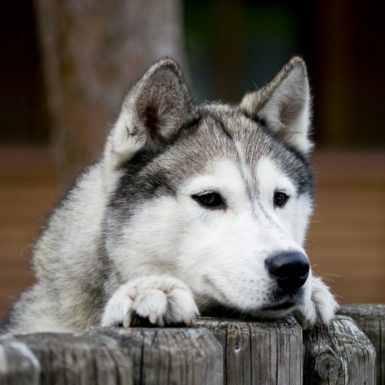 The starting point is the Husky-Lodge cabin hotel, which is home to around 30 sled dogs. Find and book quickly and easily on our website! Die Glattalp hält den inoffiziellen Kälterekord der Schweiz. Schlittenhunde haben in der Erlebniswelt Muotathal ihr Zuhause. Hektaren unberührte Natur befindet sich im Bödmerenwald. Muotathaler Wetterschmöcker präsentieren halbjährlich urig und mit viel Humor die Wetterprognosen.